← An Honest Tea Honestly Brewed GIVEAWAY! Tired of the same ol’ cardio, weights, rinse, repeat? Your body is too! Since variety is the spice of life and the booster of metabolisms, we always try to mix up our routine. 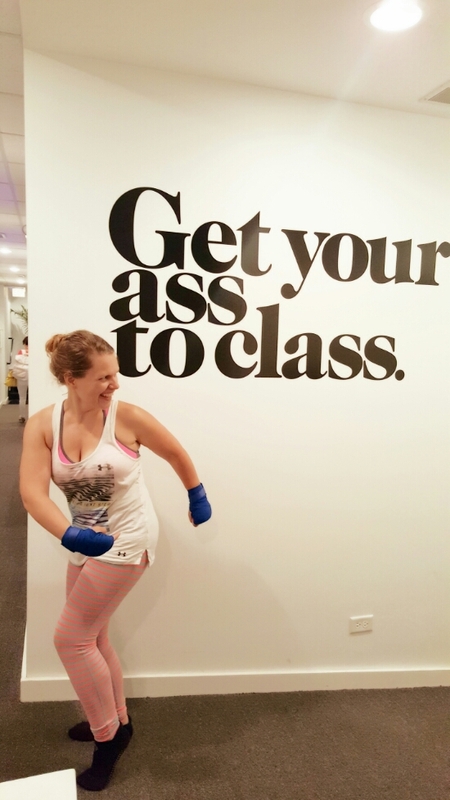 And mix it up we did in the newly created matBox workout at Pilates ProWorks Lincoln Park this past Monday. Pilates ProWorks was co-founded in 2010 by a fit husband and wife duo, Oscar Sanin and Taylor Carter. Oscar sustained injuries during an accident that required rehabilitation and found quick gains in strength with Pilates. He also noticed, however, that Pilates machines, workouts and even cost of classes could be improved. Thus, he and his wife reformed the typical methods of Pilates with Pilates ProWorks (hahaha fitness joke). MatBox is only offered in Chicago and San Francisco currently and will expand nationwide to all Pilates ProWorks by the end of July. So get this, whether you love Pilates, boxing, HIIT, yoga or even running, you will find something to love during your matBox class. Its like a workout for the spontaneous (or easily bored). The first 30 minutes of class centers around interval training with kick boxing rounds and high intensity cardio (think burpees, football runs, in place sprints). Next, you head to the mat for classic Pilates moves like the one hundred (abs up for grabs!). Finally, you stretch out with a relaxing yoga sequence (well semi relaxing as a chaturanga is thrown in here and there). Prep-Bring a water bottle and a towel with you and wear grippy socks. You will drip off calories, no lie. 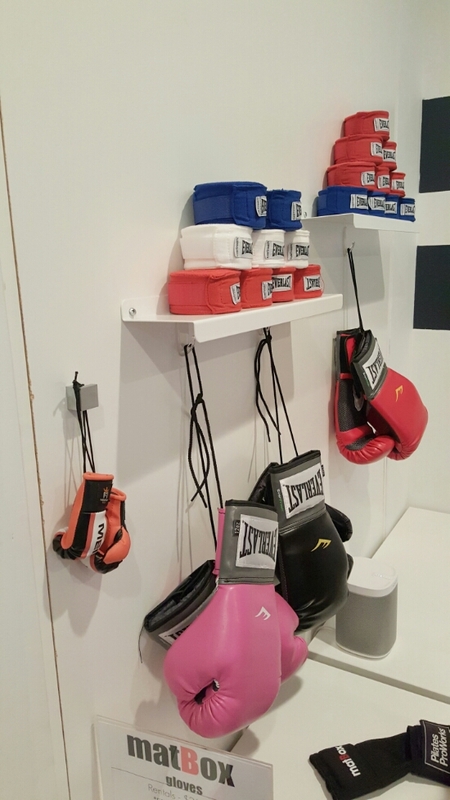 For the boxing portion of matBox, you need hand wraps and boxing gloves. Hand wraps must be purchased but come in cute bright colors. Monica chose red and Kate snagged the blue (for ‘Merica, ya know). Give yourself 15 minutes before class to get ready. Our teacher, Rita, helped us wrap our hands as we were newbies but there is an online video if you’re a DIY kinda gal. If you’ve never boxed, don’t be afraid to ask for help! Classes are relatively small so individual support is available. Rita walked around throughout class and adjusted students’ form, encouraged us to push harder and pointed out when we were rocking our body. You’ll be sore! That’s a good thing right? 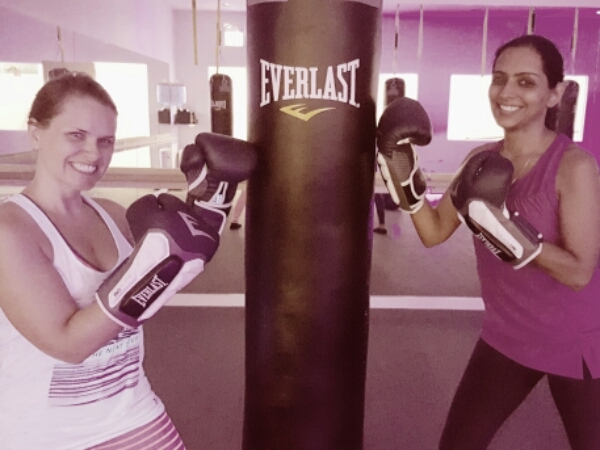 By the end of the boxing sequence, our punches and kicks became less Wonder Woman and more wimpy. 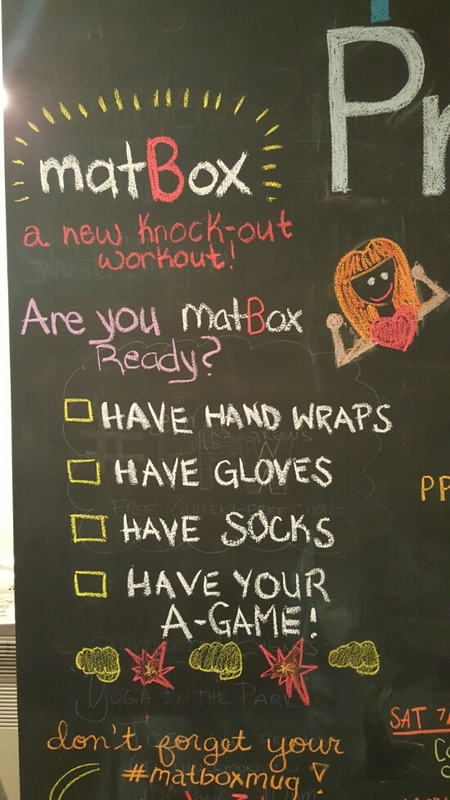 MatBox works to drive your endurance up so don’t be discouraged if you need to take a breather several times during class. 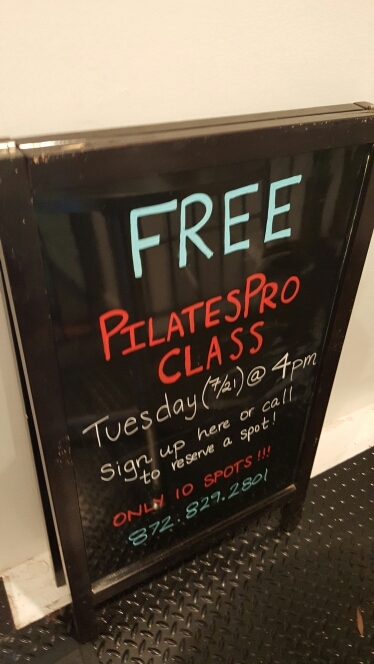 Pilates ProWorks also offers FitFormer machine based Pilates classes, Barre Pro, Barre and Pilates Fusion classes (called 30/30) and TRX classes so there’s no shortage of toning options. 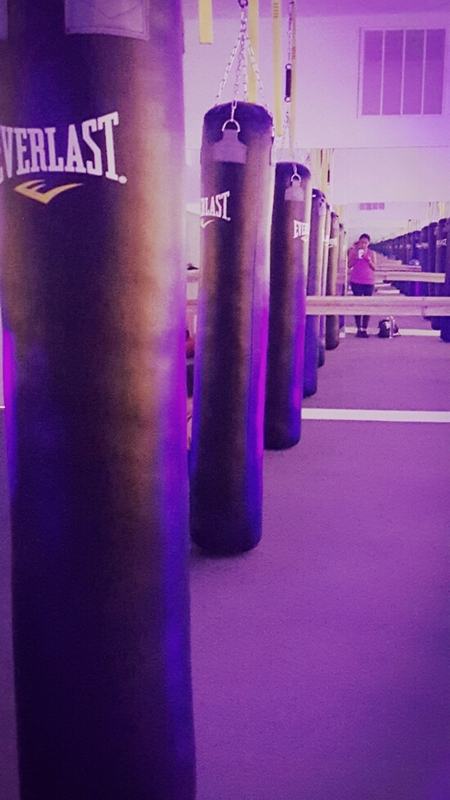 Ready to knockout the competition? Try a 1 week new client special for only $35 if you wanna try out every class at Pilates ProWorks OR…..break out your guns and pose! Pilates ProWorks is kicking off matBox with the #matBoxMug competition, inviting fitness enthusiasts and amateurs alike to post their best boxing-related vogue poses on Facebook, Instagram or Twitter for a chance to win a complimentary one-month membership. 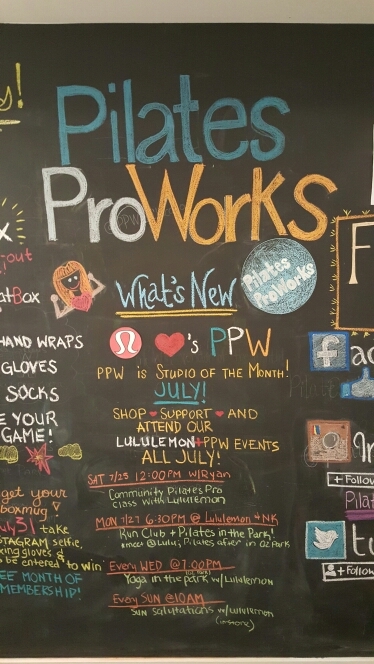 Follow and tag Pilates ProWorks @pilatesproworks with your photo and #matBoxMug for entry.